It's that time of year when I start wandering about my yard and the fields near my home, camera in hand, taking the same sorts of pictures of the same sorts of flowers that I photographed last year . . . and the year before that . . . and the year before that. What can I say? I love wildflowers. 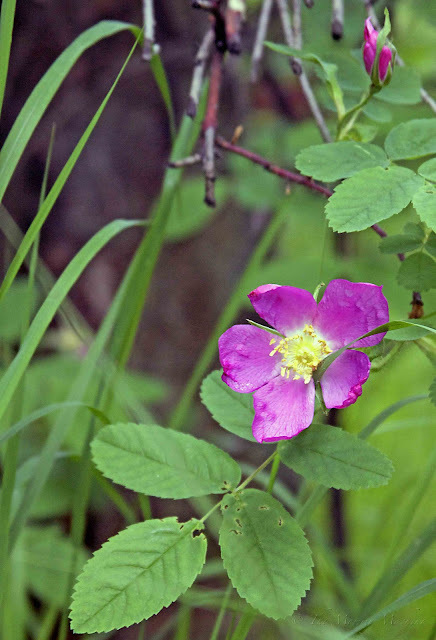 Wild rose bushes run along the east side of our house, and when you look out the family room windows, you catch an eyeful of their pink blossoms. This year, they look a little beaten up. 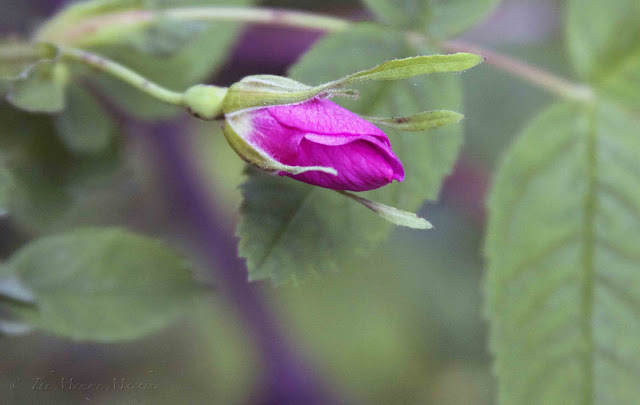 Straight out of the bud, the edges of petals are already wilting. Curled and shriveled. Kind of like me. Art reflecting life, I guess. I wish I was brave enough to have named one of my daughters Rosebud. I get so excited about our flowers that I take pictures each year that end up looking exactly like the ones I took previous years. But they are just so pretty! Loved seeing Alascan wildflowers and roses. Such pretty colors. It's not too late to nickname one of them Rosebud, right? Everything here is dead from the heat. Including one of my chickens. Stinking Texas. I love flowers and those are so pretty.